The end of December is always a period when the results of the year are perceived, especially when the year was difficult, and a lot of hopes were expected. A view from the outside helps do it as impartially as possible, without falling into euphoria or unjustified pessimism. A study by Chatham House, the British Royal Institute of International Affairs, entitled "The Struggle for Ukraine," will help do it. 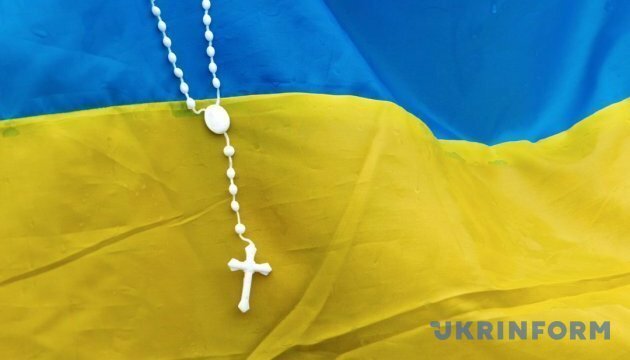 In March this year, Chatham House invited Ukrainian public and charitable organizations to take part in a survey on the development of civil society and reform in Ukraine. Four years since the start of its ‘Euromaidan’ revolution, Ukraine is fighting for its survival as an independent and viable state. 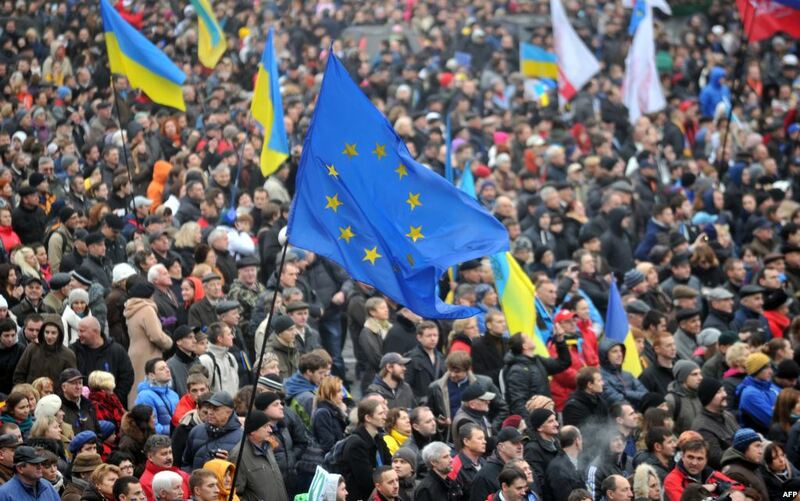 Ukrainians took to the streets in late 2013 in protest at their government’s suspension, under pressure from Russia, of plans for a closer relationship with the European Union. While their activism forced President Viktor Yanukovych from power and heralded a more EU-aligned foreign policy under a new government, it also prompted a hostile response from Russia, which annexed Crimea in early 2014, started a territorial conflict in eastern Ukraine, and continues to try to fragment and enfeeble its neighbour. 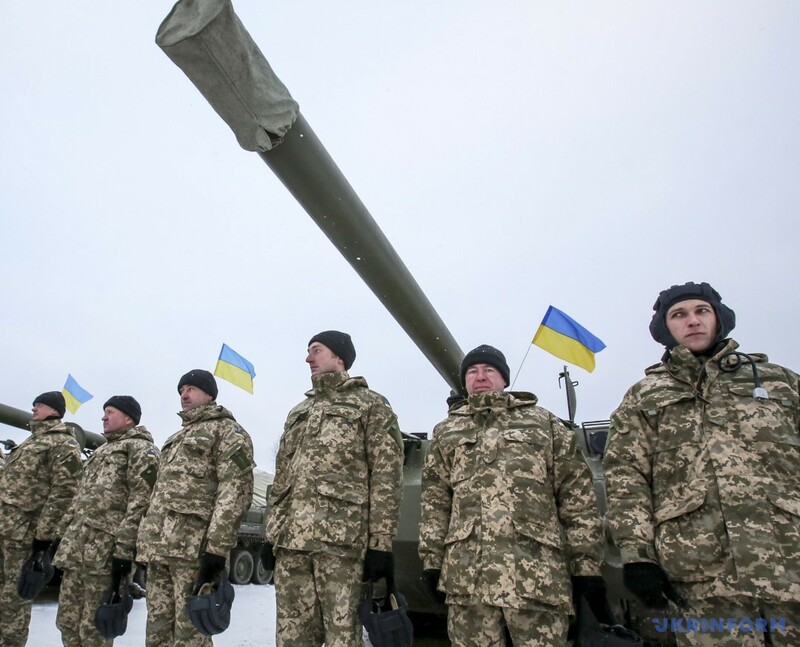 This report is partly about Ukraine’s struggle to hold together and resist Russia’s interference and pressure – in the military, diplomatic, economic and media spheres. But it is also about a related internal contest to determine the political, institutional and civic future of Ukraine. In broader terms the Euromaidan was a response as much to poor domestic governance and corruption as to thwarted ambitions for European integration per se. In this context, the ‘struggle’ in the title of this report refers to the challenges of internal reform – challenges which pit, broadly speaking, modernizing forces sympathetic to European norms against the entrenched conservatism of vested interests in political and business elites. Fending off Russia and delivering on policy reforms in a wide range of areas (including those related to European integration) are the two defining challenges that Ukraine faces today. This report recognizes Ukraine’s considerable achievements since the Euromaidan. The country has not succumbed, despite grievous loss of life and territory, to Russian military aggression. It has sealed a landmark Association Agreement with the EU, opening up economic opportunity and making it clear that it sees itself as a fundamentally ‘European’ country rather than a Russian satellite or tributary. And it has undertaken deeper and more extensive reform in the past four years than in the previous 22 of its post-Soviet life. This has included efforts to challenge a deep-seated culture of corruption and rent-seeking, improve public-sector transparency, and reduce risks to financial stability and economic distortions in the energy sector. Civil society’s contribution to many of these endeavours has been crucial. Ukraine’s future and fate hinge upon a transformation of the relationship between citizens, the economy and the state. Both national security and political legitimacy are at stake. While acknowledging Ukraine’s accomplishments, this report forensically scrutinizes those areas in which the leadership is failing to live up to the expectations of its own people, or to meet its new commitments under the EU Association Agreement. Resistance to reform remains widespread even among those in high office, and there are recent signs that anti-progressive forces are becoming emboldened in their attempts to block or dilute the policies Ukraine needs to develop its economy, establish a truly independent judiciary and provide meaningful deterrents to corruption. The West’s credibility and cohesion are also at stake. The international community has invested heavily in Ukraine’s future and spent billions of dollars on supporting the country, while rejecting the Russian claim to primacy in deciding Ukraine’s geopolitical alignment and domestic political arrangement. This report puts forward recommendations to ensure credibility is retained (or strengthened) through adherence to the principles of the post-Cold War order, and through strictly conditional financial assistance. Despite three-and-a-half years of multi-variant war against Russia and its separatist allies, Ukraine has demonstrated an internal robustness that few predicted in 2014. Thus far, its sense of national purpose has been humbled neither by Russian arms nor by Ukraine’s unscrupulous system of power, which continues to arouse widespread dissatisfaction among Western allies and its own population. The West has provided critical support in four areas: diplomacy, anti-Russian sanctions, economic and reform assistance, and defence cooperation. Although these efforts have produced some dividends, more can be done in the political and defence spheres without inordinate expense or political risk. Worries that the West will succumb to ‘Ukraine fatigue’ or the lure of ‘grand bargains’ with Russia have not been borne out. Thus far, the policies of the US administration under President Donald Trump have been impressively staunch. Nevertheless, much of what Ukraine has achieved is susceptible to reversal, and underlying political conditions are far from healthy. Ukraine’s core security objectives depend on national cohesion, wise allocation of resources and a long-term commitment by state and society alike. Neither Ukraine’s own resistance nor Western steadfastness has dislodged Moscow’s perceptions that Ukraine is an extension of the homeland and a tool of Western efforts to enfeeble Russia and overthrow its regime. Russia’s tenacity and adaptability should not be underestimated. The appearance of stalemate in the parts of Ukraine’s eastern region of Donbas occupied by pro-Russian separatists – who have established autonomous quasi-republics of dubious legitimacy – should not divert attention from other means that Russia is employing to sabotage and ‘reset’ the Ukrainian state. It is an illusion to believe that diplomatic formulas alone will diminish Russia’s determination to dominate Ukraine and rid it of meaningful Western influence. Russia’s calculations will change only when core elites perceive that a continuation of the present course is no longer feasible. The Euromaidan revolution and the conclusion of the EU’s Association Agreement offer the promise of a sea-change in Ukraine’s relations with Europe. 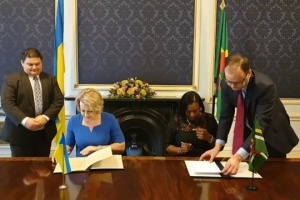 Signed in 2014, and ratified in 2017, the Association Agreement has both political and economic components, the latter formalized in a Deep and Comprehensive Free Trade Agreement (DCFTA) that boosts Ukrainian access to the EU single market but requires substantial policy reforms in return. 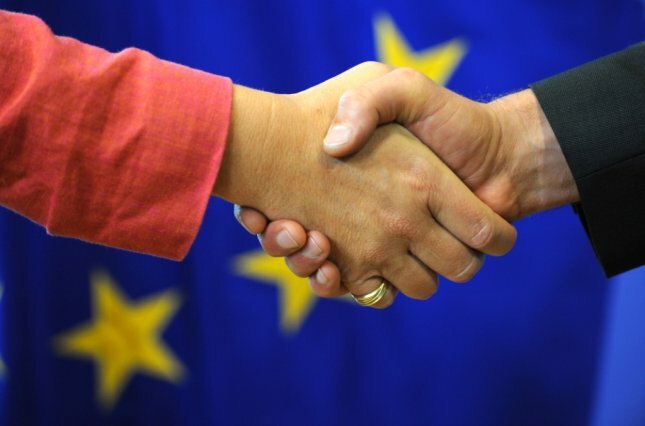 The EU has significantly stepped up its assistance to Ukraine. Brussels is involved in almost every aspect of reforms. The EU’s Support Group for Ukraine (SGUA) plays a strategic coordination role, matching domestic demand for expertise and assistance with their supply. However, at the operational level, EU assistance is still delivered via a large number of classic technical assistance projects, which are known for their ineffectiveness both in Ukraine and in other developing countries. The EU has an unprecedented political mandate for driving reforms forward in Ukraine. However, it has been too timid to use this mandate, and thus risks losing the trust of reformers. A further problem is that many members of Ukrainian political elites still regard reforms as optional, often merely paying lip service to fundamental reforms of the state and implementation of the Association Agreement. There is no single decision-making centre in Ukraine on matters related to European integration, nor is there effective coordination. The EU has been too lenient with the Ukrainian authorities, continuously giving them the ‘benefit of the doubt’. The EU is unwilling to risk triggering a change of government which could lead to more populist and/or pro-Russian forces gaining more power. Where meaningful reforms have occurred, they have been championed by numerous ad hoc ‘reform coalitions’ consisting of politicians, state officials, civil society groups, and EU officials and experts – albeit in the face of strong resistance from reform spoilers. The activism of progressive coalitions is welcome, but on its own it does not provide a sound basis for institutional transformation. Of all the areas in which Ukraine needs reform, economic policy is one of the most critical. It is commonly argued by investors and observers that Ukraine is un-reformable, and that it should be left in the ‘twilight zone’ between East and West, as was the case for much of the first 20-odd years of its independence. This view ignores the reality that the status quo was failing the bulk of Ukraine’s population, with the exception of a few hundred business tycoons with privileged access to the political system and members of political elites who used the system to personal advantage. The Euromaidan revolution was, at its heart, a rejection of this corrupt system and a demand for the creation of an economy and society based on Western and European norms. Policy developments since 2014, while sometimes failing to meet expectations for revolutionary change, have nonetheless been encouraging. Ukraine has proven that change is possible. Basic macroeconomic stability has been achieved, with the economy returning to growth in real terms in 2016, inflation easing, the hryvnia strengthening and foreign exchange reserves more than tripling from the lows of 2015. The current-account and fiscal deficits have been cut to manageable proportions. Budget spending has been reduced and rationalized, tax reform and debt restructuring rolled out. The energy sector has been a priority for reform. Energy prices have been hiked to cut demand and fuel subsidies are now more targeted; this has cut the public-sector deficit in respect of Naftogaz, Ukraine’s state-owned oil and gas company, to zero in 2017. The banking sector has also undergone far-reaching change, with almost half the banks closed and others cleaned up sufficiently to ensure that the sector no longer imposes a large contingent liability on the public finances. The National Bank of Ukraine has also undergone remarkable internal reform, with the result that the central bank is now fit for purpose in terms of managing monetary and exchange rate policy and regulating and supervising the banking sector. With the country’s macroeconomic and financial resilience apparently improved, the next challenge is to enhance the business environment, unlock the potential of the land market and support investment to deliver much-needed economic growth. Reform of Ukraine’s over-centralized, excessively regulated and dysfunctional system of governance has started. Large amounts of legislation have been enacted, though in many cases not yet fully implemented. Decentralization has devolved significant authority and tax-raising powers to local governments, but reform of the constitutional division of powers, institutional (especially civil service) capacity and the media has barely begun. Establishment of robust protections and enforcement of the rule of law through judicial reform, the essential underpinning of good governance, is meeting stiff resistance from political and economic groups that currently benefit from privileged access to power. The president shares power with the government, and both rely on shifting support from other political parties. The agenda is often set by populist parties, and vested interests are still entrenched. This results in damaging institutional rivalry and corruption of the democratic process. Ukraine has a relatively good record of mostly free and fair elections since 2004. 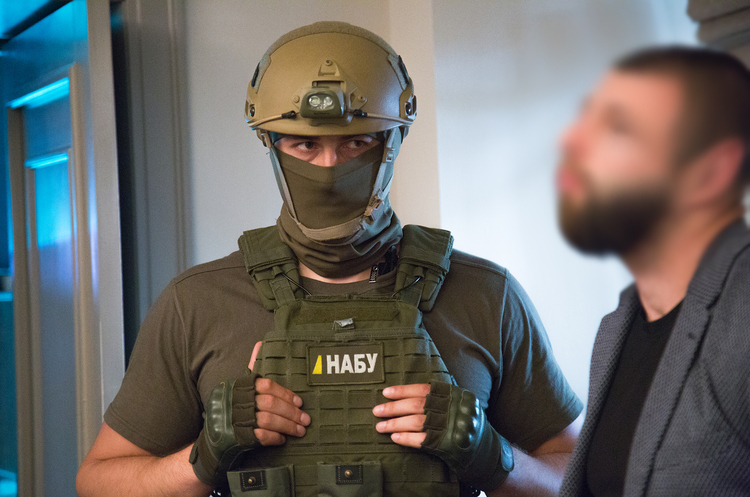 The October 2014 legislative election greatly reduced the influence of the Donbas elite, bringing in many new members of parliament who are pressing for reform. The resistance they encounter testifies to the degree of change that has already occurred – though also to the gravity of the challenges that persist. Electoral reform, crucial to the establishment of a more level playing field, is seriously delayed. The Euromaidan movement empowered citizens and started a consolidation of civic identity in Ukraine around justice, accountability and an anti-corruption agenda. Subsequent Russian aggression provided a powerful bond for Ukrainians to unite around the idea of Ukrainian nationhood. Ukrainian civil society has reason to be proud of what it has accomplished to date. Unlike in the aftermath of the 2004–05 Orange Revolution, society is no longer immobilized in a post-protest phase. 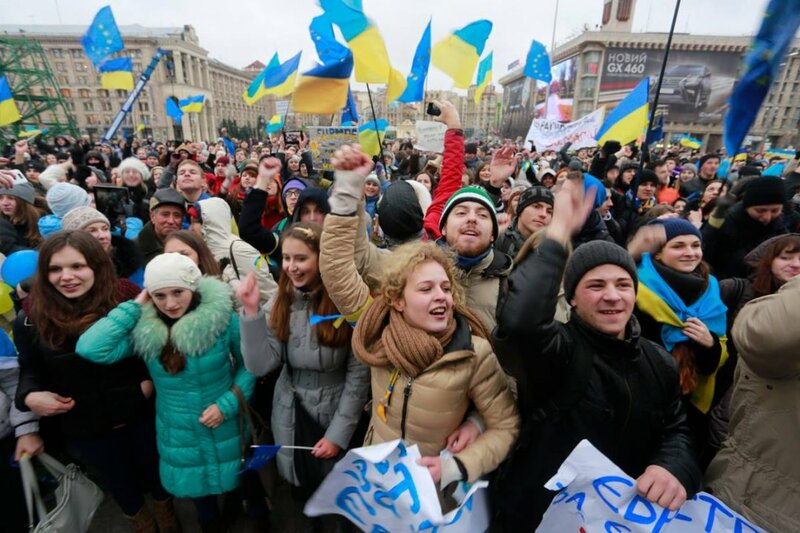 Concerted effort at the national level, the presence of reformers in the government, an inflow of substantial Western assistance with strong conditionality, and an episodic power vacuum after the Euromaidan have enabled active citizens to contribute to Ukraine’s transformation. An important democratizing effect of civil society has been the integration of non-state trust networks into public politics. Most prominent has been the launch and institutionalization of ProZorro, a new digital public procurement mechanism. Its success has established a new norm of transparency in terms of citizens being able to hold the state to account. However, the dynamism of civil society continues to depend on a small cohort of activists and professional civil society organizations (CSOs). As the ‘old’ system of entrenched interests mounts its defences, the persistence of a gap between organized advocacy and concerned citizens reduces the scope for reform pressure from grassroots level. Indeed, the increasing mobilization of populist and radical groups testifies to the continuing weaknesses of civil society, and to the popular frustrations this generates. Inadequate channels exist for CSOs to listen to citizens’ concerns and transmit these to the authorities. As a result, there is a sense that CSOs are disconnected from local communities, and that activity on behalf of citizens rather than with citizens prevails. Over the past four years, Ukraine has made significant progress in laying the foundations for reducing very high levels of public corruption. However, this is only the start of a long-term process that needs to address two principal problems: first, a fatalistic acceptance by much of society of endemic corruption; and second, a concentration of ownership and influence that has prevented the development of the rule of law. These problems are far from unique to Ukraine, but their accumulation over more than 25 years of ‘state capture’ presents an extraordinary challenge for the country’s reformers. The most notable reform achievements since 2014 have been the elimination of gas sales from Russia (previously the largest source of corruption in the economy), which has shrunk the space in which corrupt practices can occur; and improved public-sector transparency as a result of the above-mentioned introduction of an electronic system for state procurement tenders. An intrusive new e-declaration system through which senior officials must declare their assets marks another victory for anti-corruption reformers. 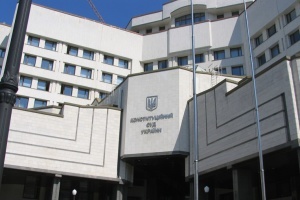 However, the new agencies established to investigate and prosecute high-level official corruption – the National Anti-Corruption Bureau of Ukraine (NABU) and the Specialized Anti-Corruption Prosecutor’s Office (SAPO) – have yet to deliver results. This largely reflects the lack of a robust judicial system. Judicial reform remains the Achilles heel of the anti-corruption effort as a whole. It is clear that Ukraine’s current leaders may fear an independent judiciary and the effective enforcement of laws. Not surprisingly, a fierce battle is under way between genuinely reformist forces and those who would like to preserve as much as possible of the ‘old’ system. The West’s goal must be to ensure that Ukraine has the capacity to preserve its independence and territorial integrity, irrespective of Russian wishes or intentions. In this collective undertaking, Ukraine bears primary responsibility and must shoulder the principal burden. This requires political will and demonstrable progress in upholding standards of good governance in key security and political institutions. Ukraine must understand that internal transformation is a prerequisite both to national security and to Euro-Atlantic integration. The establishment of an effective, trusted and accountable state is a primary national interest. Unless law enforcement, security and defence institutions are fit for purpose, the country will remain dangerously vulnerable to infowar, penetration, sabotage and destabilization. 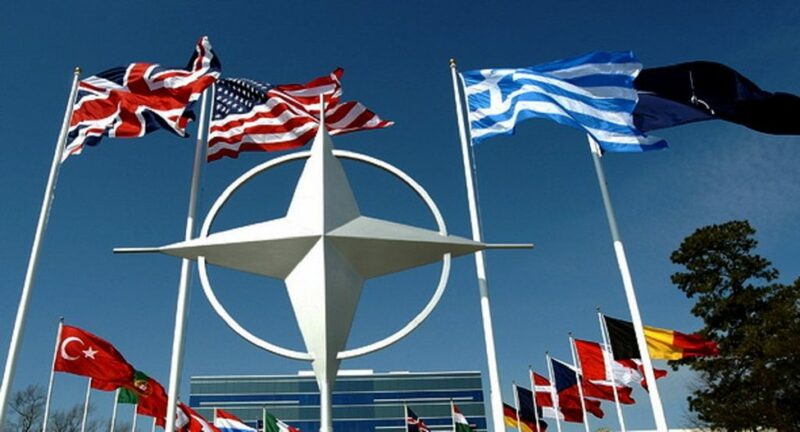 NATO and the EU should, respectively, launch security sector and law enforcement advisory programmes in Ukraine, commensurate with NATO’s existing efforts in the defence sphere. There is no contradiction between dialogue and defence. The West must work inside and outside the Normandy Format and Minsk process to resolve the conflict between Ukraine and Russia and strengthen European security. 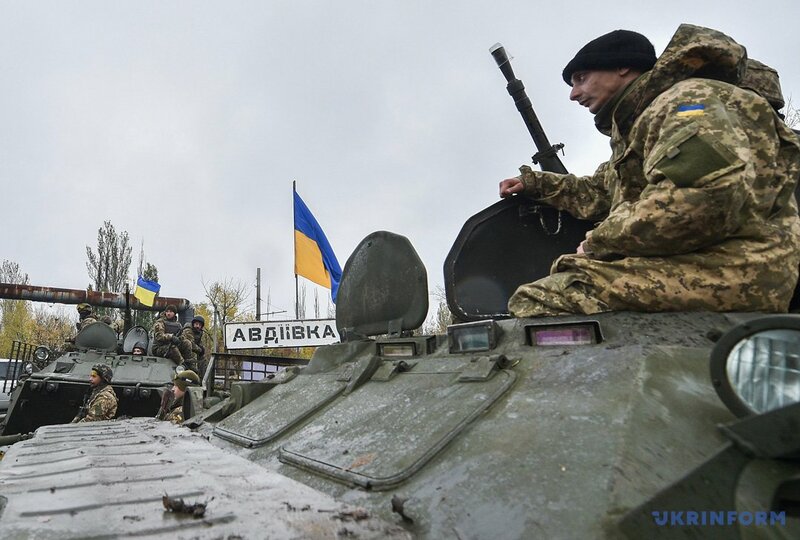 The Minsk agreements of 2014 and 2015 – which aimed to establish a political solution – should not be abandoned, but deadlock should not become a pretext for diluting their core provisions: a comprehensive ceasefire, the withdrawal of foreign forces and heavy weapons from occupied territories in Donbas, and unimpeded access for monitors from the Organization for Security and Co-operation in Europe (OSCE). Verified implementation of these security components must precede implementation of the political segment of the Minsk protocols. The West’s sanctions against Russia should be periodically reviewed, strengthened where necessary, and kept in place however long the illegal annexation of the Crimean peninsula lasts and destabilization of the east of the country continues. Full restoration of Ukraine’s internationally recognized borders should not be compromised. The EU must have realistic expectations of how long it will take for Ukraine to reform. The EU must maintain strong conditionality in the long term to stimulate real, rather than partial or cosmetic, reforms. Ukraine must recognize that European integration is impossible without delivery of political and economic transformation. The EU’s Support Group for Ukraine (SGUA) has been a particularly successful innovation in policy towards Ukraine. The SGUA has matched the supply of expertise to need. The EU should rely on this tailored and agile mechanism when planning assistance for Ukraine. 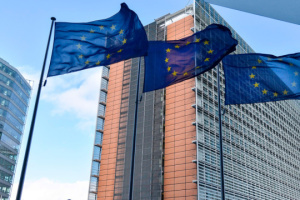 The EU’s support should move away from classic, pre-scripted technical assistance projects – the effectiveness of which is very low – to tailored, more flexible and longer-term programmes of at least four to five years in duration. The EU should consider using some instruments that have been successfully deployed in Romania (and learn lessons from failure in Bulgaria) to support the rule of law and judicial reforms. Support for Ukrainian businesses, especially small and medium-sized enterprises, is needed to help them withstand competitive pressures once the DCFTA transition periods finish. This gap remains a major weakness in the EU’s strategy towards Ukraine (especially at the regional level), and contrasts with the support available to EU accession candidate countries. 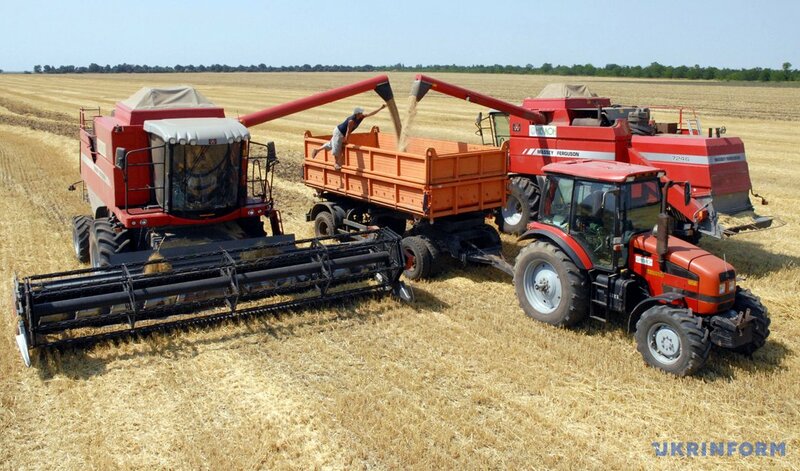 Land reform – allowing and facilitating a functioning market for land – is badly needed to ensure that Ukraine’s large but low-productivity agricultural sector is a powerhouse for longer-term economic growth. There are indications that the Ukrainian government will partially lift a moratorium on land sales by the end of 2017. 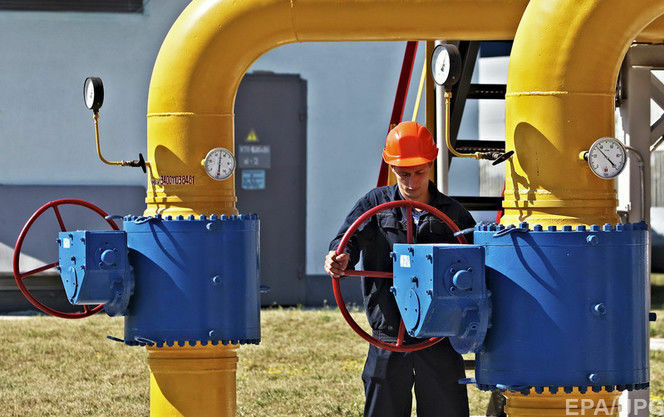 Further reform of Ukraine’s more than 3,000 state-owned enterprises is essential. Efforts should focus on three areas: improving the corporate governance of strategic entities identified as likely to remain in state ownership; privatizing the remaining enterprises and assets for which there is a ready market; and closing the rest. Reform should also include the sale of over 10 million hectares of agricultural land currently in state ownership, which could potentially raise big sums for the state budget. Civil society and the international community should place as much stress on electoral and institutional reform as on anti-corruption measures, to encourage a break with the old system and allow a new generation of genuine reformers to shape laws and policies. Wider use of institutional exchanges between Ukrainian government entities and EU member state governments will encourage best practice in administration and better policy formulation and implementation. Building public trust is of critical importance. Responsibility for this lies first and foremost with the Ukrainian political class, which needs to convince the population and Ukraine’s foreign friends and partners that there is serious political will to reform the corrupt political system. Civil society can help to do this ‘from the top’, by joining forces with reformers in the legislature and executive. Civil society also needs to work from the ‘bottom up’ to ensure that citizens can engage in their country’s governance and exercise civic oversight. Active citizenship could help establish a larger and more reformist political class in the future. Unless Ukrainian politicians, judges and civil servants accept the need for their system to change fundamentally – through the creation of robust institutions, genuine safeguards against corruption, and true political and legal accountability – old habits will continue, Western partners will grow weary, and Russia will continue to be able to undermine the country’s territorial integrity, politics and future sustainability. Western donors should integrate requirements for wider popular participation into their grant-making. They should fund projects that build civic support networks. They should promote action-based rather than adversarial revolutionary activism. The expansion of housing associations, farmers’ unions, credit unions, teachers’ associations and business associations would make decentralization of power more effective and local government more accountable. 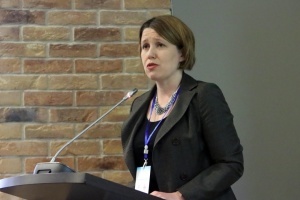 Through international development assistance, Western partners must assist Ukrainian NGOs and nascent political parties, as well as universities and management schools, in the creation of a new political and managerial class. Western countries must sustain pressure for judicial reform and the prosecution of high-level officials who have abused their office. There must be continued pressure for progress towards zero tolerance of corruption at all levels. The establishment of a special trial court or chamber free from political interference is essential for further progress in the battle against corruption and the development of a new legal culture. The appeal system must be similarly independent. Any signs of backtracking on these issues must be addressed robustly. An independent judiciary is the ultimate test of Ukraine’s reforms. To maintain the momentum of the anti-corruption effort, the government must speed up privatization of state-owned enterprises using transparent tender procedures. Further deregulation should also be a high priority, in order to reduce opportunities for officials to extort money from business. Ukraine’s anti-corruption reformers must communicate their achievements to society and address the perception that ‘nothing has changed’ since 2014. Important progress has been made on reducing the space for corruption, but the Ukrainian public is generally not aware of these changes. Progress in Ukraine is clearly discernible on many fronts, but it is in danger. Incomplete reforms threaten to undermine the credibility of ‘new forces’ and lead to the disillusionment of millions of Ukrainians. This would open the way for revanchist and populist forces to hijack Ukraine’s transformation agenda. Delivering on the policy recommendations proposed above would pave the way for a more open and efficient system of governance and make Ukraine more resilient. A Western policy of benign neglect or, worse, accommodation with Moscow at Ukraine’s expense would seriously destabilize the country, as it remains fragile and in peril. The evidence presented in this report makes clear the double existential threat Ukraine is facing. But it also makes the strongest possible case for increased Western support, despite – perhaps even because of – Europe’s myriad other problems. Policymakers have less capacity to invest time and effort in Ukraine, but the West cannot afford yet another defeat. Vladimir Putin’s objectives show no signs of changing, and neither should those of the West. All is still to play for, with Ukraine ‘on the edge’ in every sense.